This is the worst time of year and is horrible for most allergy people. I do have to say that it's better in comparison to other years, but still, I could really do without any allergies at all. I've had hayfever my whole life as far as I can remember, so maybe there are just some things that the Bax systems (the Bax3000 and the BaxAura) can't treat and have results right away (or ever). Maybe I am just still working through it/healing..... Alternative medicine has done wonders for me as far as foods go, as well as the molds around my house, and most of the summer I have done well without any antihistamines (until August). I just can't seem to kick these fall allergies. I want to go outside and enjoy the cooler fall days and the beautiful weather and sunshine....work in the garden, mow the lawn, haul wood...walk, even, but I still pay for it to some extent if I do so. Maybe I should move to Antarctica. The corn is very crispy and hard. Even the "slices". I used about half of these green beans (I know they are purple here--they green up when they are cooked) in the turkey soup I made for my lunches this week. I just tossed them in as the soup simmered. I could hardly tell the difference, once cooked. 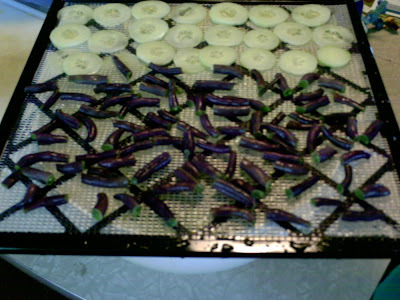 I plan on putting more of my green beans from the garden in the dehydrater sometime today. I rather like drying them, and saving some freezer space for when I come across good deals on meat and other foods. 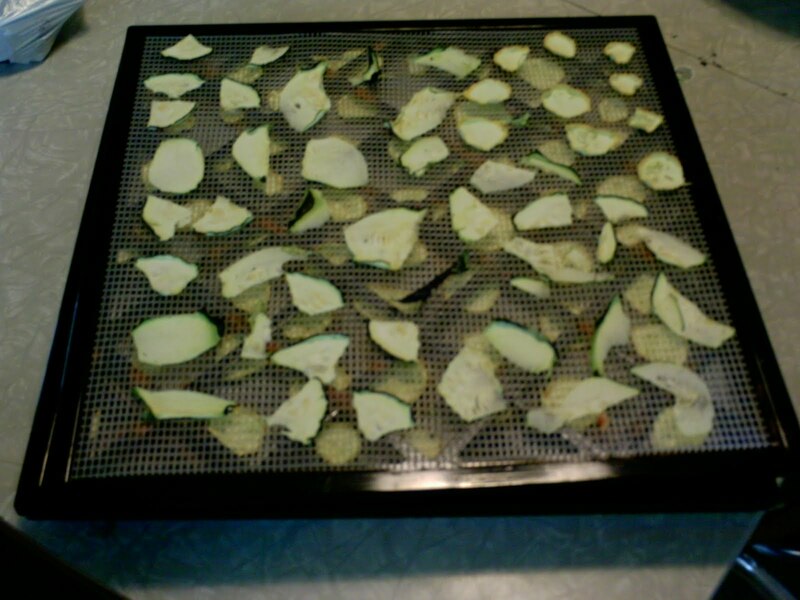 Today is another day for using my Excalibur Dehydrator. We have lots of veggies in the garden waiting to be eaten or preserved somehow for later on. For the corn, I had my oldest son shuck it, then I cooked it in hot water for a bit like you would do for corn on the cob. 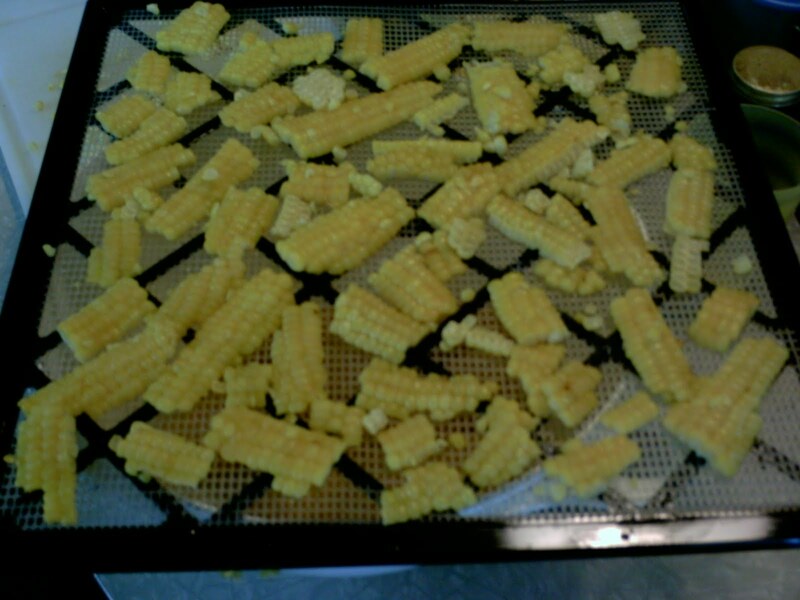 I let it cool, cut it off of the cobs, and spread it on the trays. I sort of like the chunks of corn you get when you cut it off the cob, so I left it like that for now. I will need to stir the corn a bit while it's drying, so we'll see how that goes. I'm not sure it will stay together once dried. For the cucumbers, I just washed, peeled, and thinly sliced them. 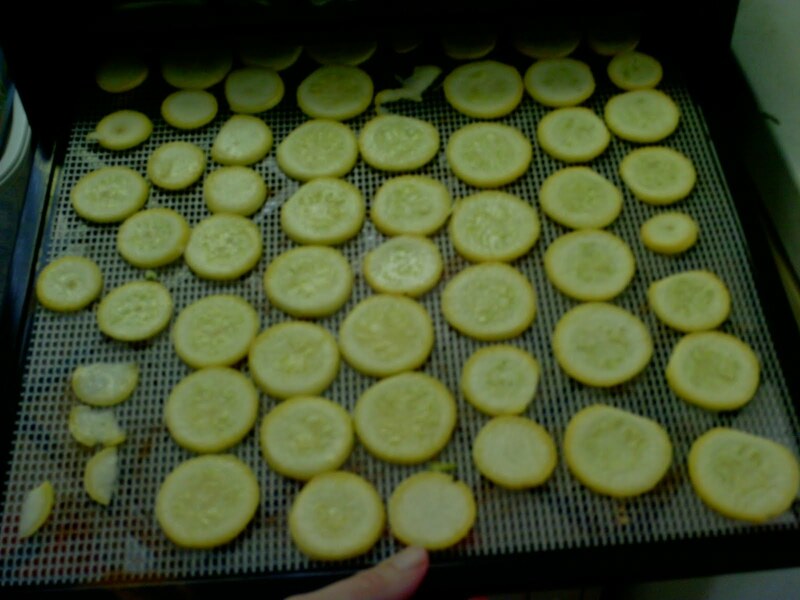 Then, I put them on the trays. According to some sites, they are good to incorporate into veggie soups(though I admit I have never knowingly had cucumbers in a veggie soup! ), as snacks, and to blend up into powder and make some sort of dip with them. For the beans, the books I have do not say to blanch the beans. 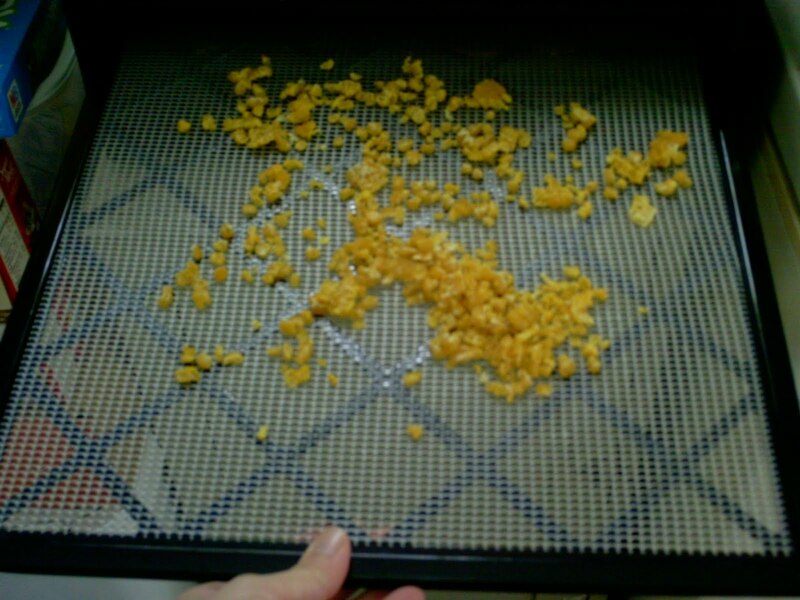 I simply washed the beans, snapped off the ends, broke them into pieces and spread them out on the tray. I set the timer for about 10 hours. I will check on them once or twice in between to see how it's going and maybe rearrange the trays. 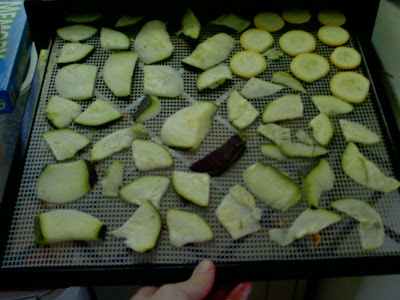 I love my Excalibur 5-tray Dehydrator! 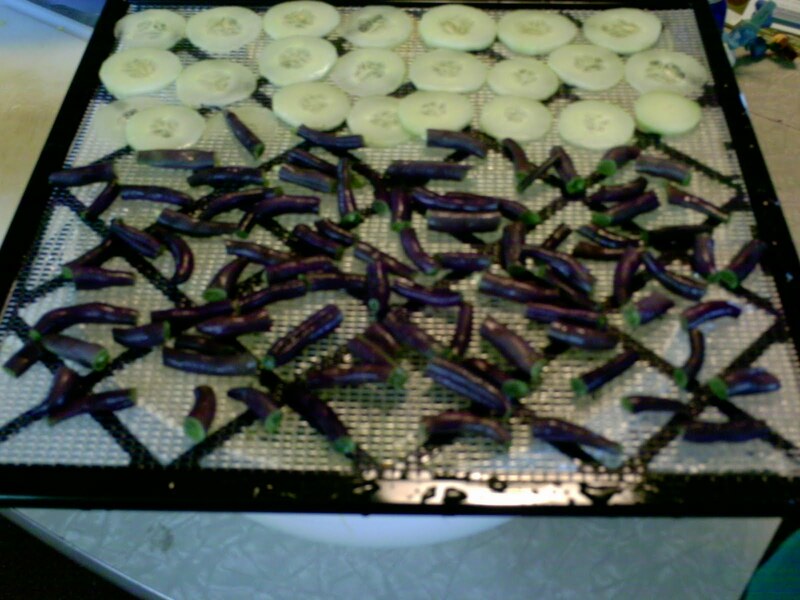 I thought I would update on how the veggies came out that I posted about here. 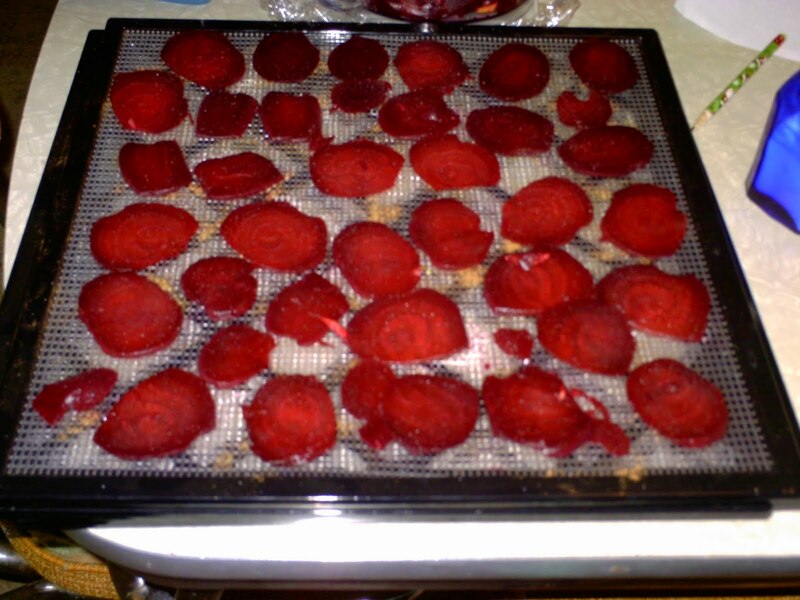 I had hoped the beets would turn out crispy like chips. Instead, they came out more like fruit leather. 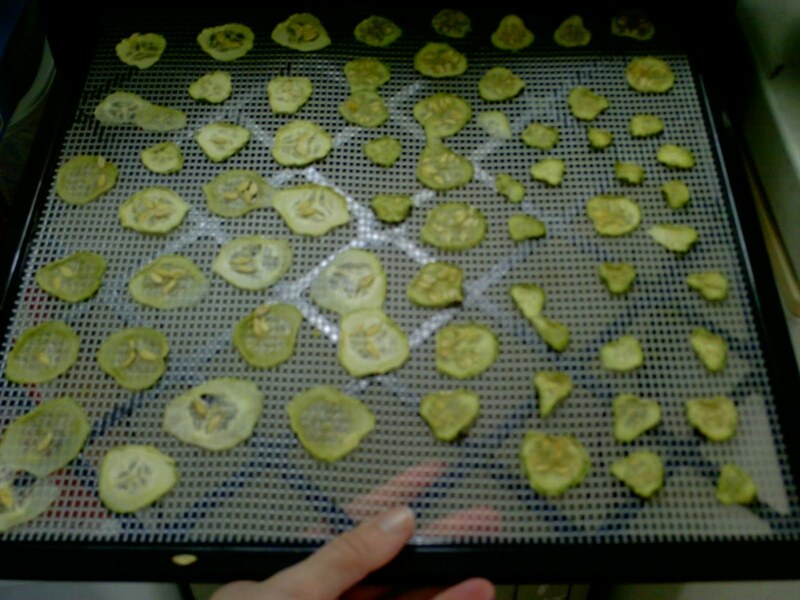 I even put them in for 12 hours longer or so to see if that would crisp them up, and it didn't. Still, they are dried and will keep for awhile. I have yet to reconstitute them and see if I like the texture of them cooked. These also came out leathery, rather than crispy. They kept their color beautifully and I am hoping the kids will munch on them for a snack. I am also looking for soup mix recipe ideas in which to incorporate them. 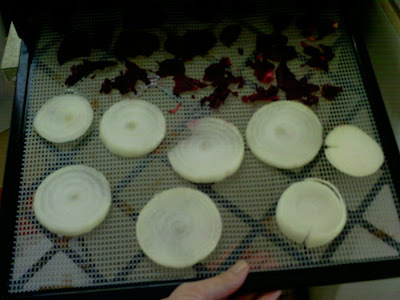 The onion is also leathery, even after extended drying time. It should be pretty easy to use kitchen shears and chop it up into soups and such. 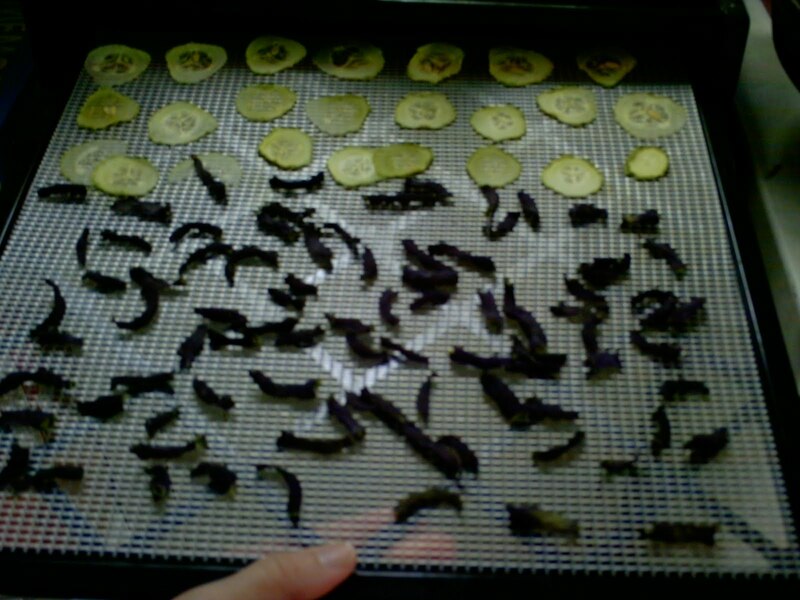 I think a higher temperature might yield crispier veggie chips, but then I think I sacrifice some of the nutrition due to the heat. I'll have to play around with it a little and see what happens. In my Gluten-Free journey, there are times that I am stumped as to what to eat for a snack. So, I finally made a list to go to when I find myself in this predicament. It's also a good way to keep myself and the kids from relying on processed (often GMO-laden) foods for snacks, and to learn/teach about combining foods to get enough protein to feel satisfied for awhile! Also, if I am wandering around trying to figure out what to eat and nothing sounds good, I find a glass of water really hits the spot. We often think we are hungry, when we are actually thirsty. ~Banana--frozen on a stick has gone over well here this summer. We found Diana's Bananas this summer and they were a hit! They are just bananas frozen on a stick and dipped in chocolate (dark or milk). ~Healthier Morning Orange Drink--for an afternoon snack sort of like an Orange Julius Shake--made with Kefir or Yogurt for more protein! OR, made as Popsicles for a cool treat! Just sharing part of my heart today...pardon any rambling. It was about year ago today that hubby and I lost our baby and I had the month of limbo before it was all over. A month and a half before, I had lost my Grandma T. to cancer. And just a couple months ago, my Grandpa T. passed away as well. If I keep busy, I seem to do fine and not notice anything is amiss really. Things are Normal. Life goes on. But there are times that I find myself still, and alone with my thoughts, or a song or a phrase or something triggers a memory and a feeling and things crop up a bit again. I contemplate the meaning of life, and eternity, and yearn for my loved ones. The pain is there, though less. Different. Not quite as raw, but still there. My faith and my hope in the Lord Jesus Christ has only gotten stronger as I journey through this time. God is good, ALL the time. There are things He can see, that I can't. His way is perfect. He blesses us and cares for us each day. It's funny how, when life is hard, all of the "extra" things are stripped away and I am pulled close to Him. My perceptions change and trivial things truly don't matter anymore. Perhaps hard things are His way of reminding me what is important in life. Because He loves me. I have a feeling this is somewhat what is described as a "refining fire", where the impurities are burned away and the gold emerges, pure. May it be so. May I be cleansed. May my faith point to Him and His saving grace. For it is Christ who has pulled me through and given me hope, and not myself. As my Grandpa T. did, I too look forward to my "long home" as mentioned in Ecclesiastes 12:5....where I will one day see my Savior face to face. And I will get to see my Grandma and Grandpa again. And the child I haven't met yet. And get the answers to the questions I can't answer right now. I wonder whether I will forever associate the fall and back-to-school season with the loss of our child. Ivy, our 6 year old daughter, asked me the other day at the dinner table when I was going to have a baby. It was on her first day of school last year that I sent her on the bus, telling her that Mommy and Daddy were going to the doctor's office to get pictures of the baby......only to have me pick her up at the bus stop after school and to give her the bad news (that I'm not sure she understood...or at least is still processing in her childlike way...since she asked just the other day, wondering just where the baby is...). I don't understand it all, either, and feel like a child myself some days. But I am a child with a Heavenly Father, who knows the answers and all the things I struggle with. Fall is coming, and that puts me in the mood to use my wonderful Excalibur Food Dehydrator. I absolutely love this method of food preservation! 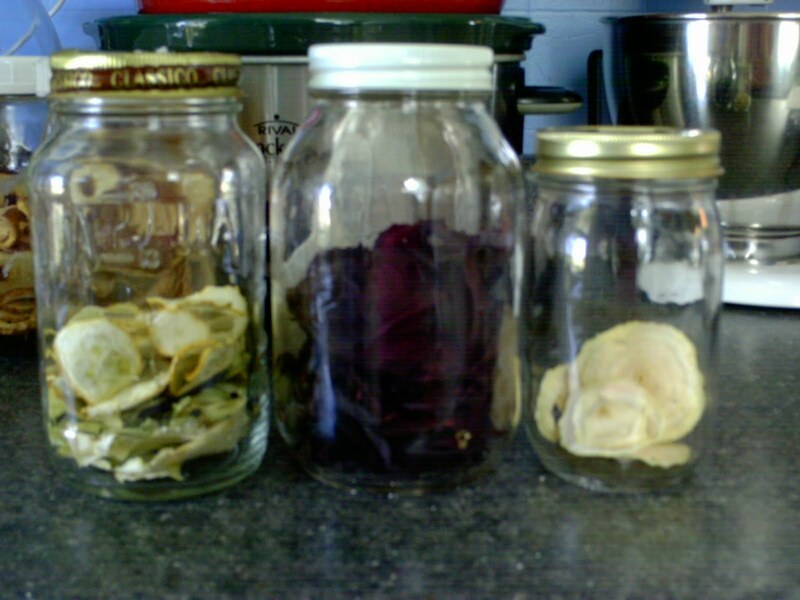 It appeals to me because it's not as hot to work around as a canner is, and the end product takes up less space to store equivalent amounts of food. So far this fall, I've done about 8 pounds of apples, since hubby requested them to snack on at work. 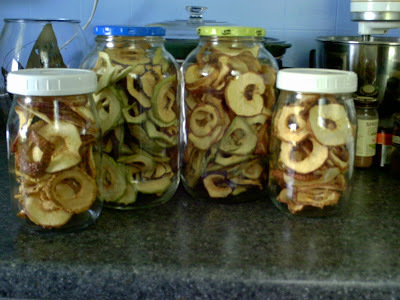 8 pounds apples turned into about a gallon and a half of dried apple rings. Today, I went outside to see what what in the garden to play around with today. 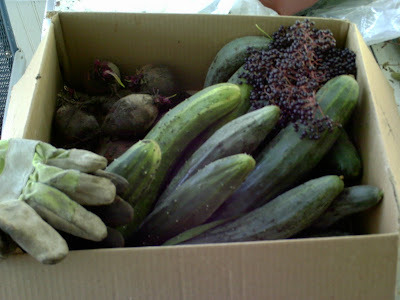 I came in with about 8 beets, some cucumbers (there's more out there of both, still) and some more elderberries. 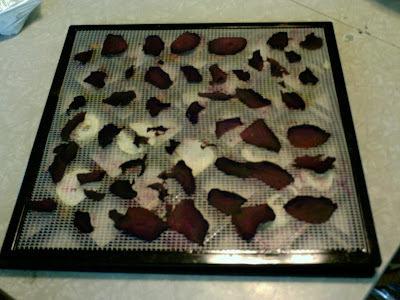 I've not been thrilled with freezing beets in the past (they are mushy), and tire of pickled beets all the time, so I've been toying with the idea of dehydrating beets. Some online friends have been singing the virtues of vegetable chips, as in crispy dried REAL vegetables. 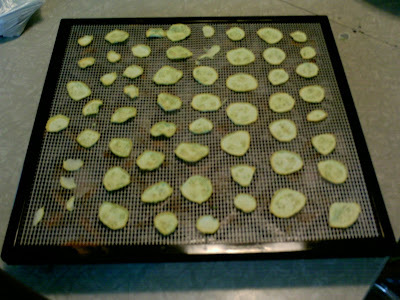 Not those "Vegetable Chips" you see in the stores that are mostly corn with some veggie juice sprinkled in. And their kids apparently like them. So, I decided to try drying my beets and some summer squash (not pictured). I sprinkled them with regular ol' salt. My online friend recommended rubbing them with oil, but I have concerns as to whether the oil might go rancid if I keep them around for a few months. We'll see how we do without the oil this time. I still have lots more beets in the garden to experiment with. I set my timer for about 12 hours and have the temperature set at 125*. Since I still had room, I also sliced up some zucchini and yellow squash in the food processor, and an onion for good measure. I salted the squashes, but not the onion. 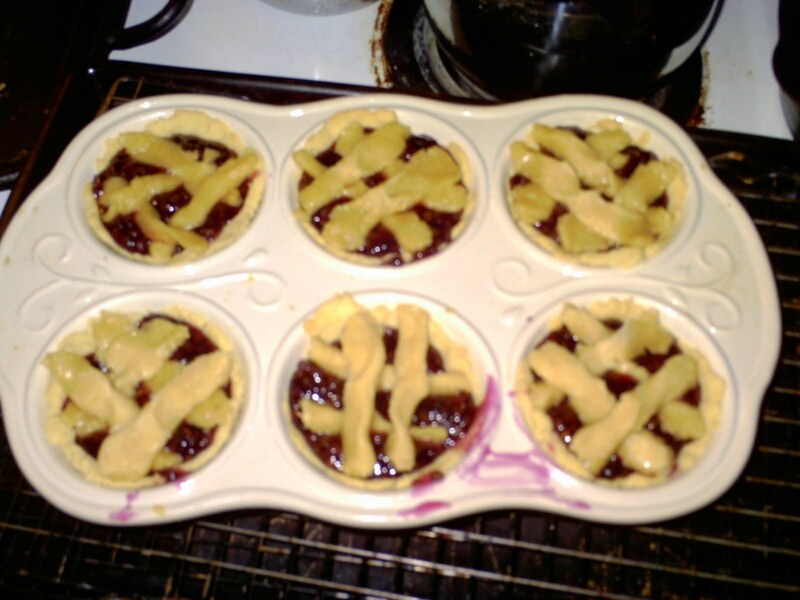 Now, all I do is wait and see how they turn out...and if the kids and hubby will eat them. I'm thinking about making some jarred soup mixes for easy meals this winter. We'll see what I can put together. RECIPE UPDATE: Healthier Morning Orange Drink! I mentioned in my other recipe post about Morning Orange Drink that I was looking for a way to make it healthier. Well, today I found one way! And it turns out it's a good way to get food-based probiotics into my kids! I had let my previous Homemade Kefir die after one of our Colorado trips awhile back, and gotten out of the habit. However, I was recently able to acquire some kefir grains from a friend and got started with it again. This strain isn't as tart as my other strain, and it grows a lot more quickly. I had a jar that was basically 1 cup whey and 1 cup of ricotta-consistency kefir from one of the days last week. I kept it in the fridge for a few days until I could figure out what to do with it, and came up with the idea of incorporating it into the recipe I'm sharing today. Put all of the above into your blender and blend until smooth. Serves 4. All of my kids had some, and I put what was left into popsicle molds. Goodbye dyes and artificial flavors and high fructose corn syrup! Made with kefir, this recipe has a slight bit of effervescence. I told my kids "It's sort of like a soda, sort of like a milk shake." Today I had my BaxAura consultation, 4 weeks and 3 days after the initial treatment. As you may have read in my previous posts, I went back a few weeks ago and was told to continue using my homeopathic sprays because my body was "still working on healing". Which I have been doing. The last 3 days and nights, (especially the last 24 hours), I have been having more and more flareups. Last night I woke several times with an itchy throat and with insanely itchy ears. We have a fan in our bedroom window(blowing out-a compromise with hubby b/c if we turn it off altogether and close the windows it's too hot to sleep). I realize the fan is sucking air(and pollen) from outside from other windows of the house, but it's the best we can do at this time. I explained all this to my chiro, and we started up with the BaxAura computer system. I held the metal cylinder thing while she used the program. Then she did some muscle testing with and without my homeopathic bottles and I got new bottles since mine held mere drops. I was also given a different bottle to replace my previous Gall Bladder bottle. 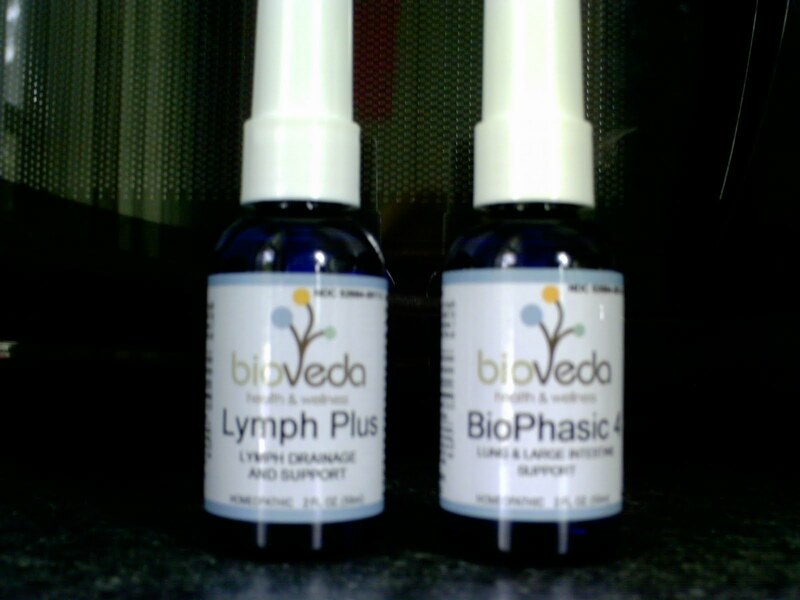 This new bottle is labeled as BioPhasic 4 Lung and Large Intestine Support. I can take my homeopathic drops more often than three times a day. They will do more good, taking 3 sprays more times a day than, say, simply upping my dosage to 16 sprays 3 times a day. Since I am struggling, I am going to take it on a day-to-day basis, maybe doing 3 sprays 6 times a day or so. That way, I will hopefully have enough to last me until my next appointment. That's my plan, anyway. My issues are with stuff that I was treated for before but have risen to the top and am dealing with more currently: Cut Weeds being the one we made note of as being pretty prominent. Cut Weeds as in mowing the grass. So if I am going to be cutting weeds or mowing or otherwise harming vegetation (So sorry, Mother Nature...), I may need to take my homeopathic sprays more often. We'll see how the next few weeks goes until my next consultation. I have been seeing Kale Chips being talked about on many different sites on the internet. So, seeing as I have a huge Kale plant in my garden that I am not entirely sure how to get into my family's stomach, I decided to try making them. 1. 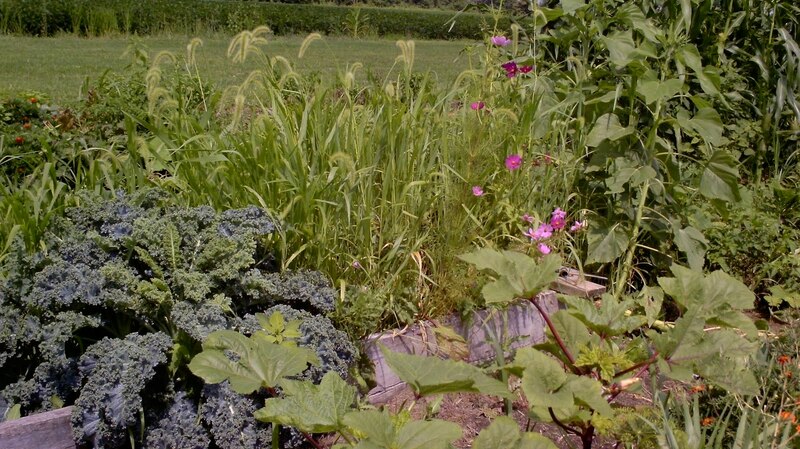 Pick your kale, either from the grocery store or your garden. 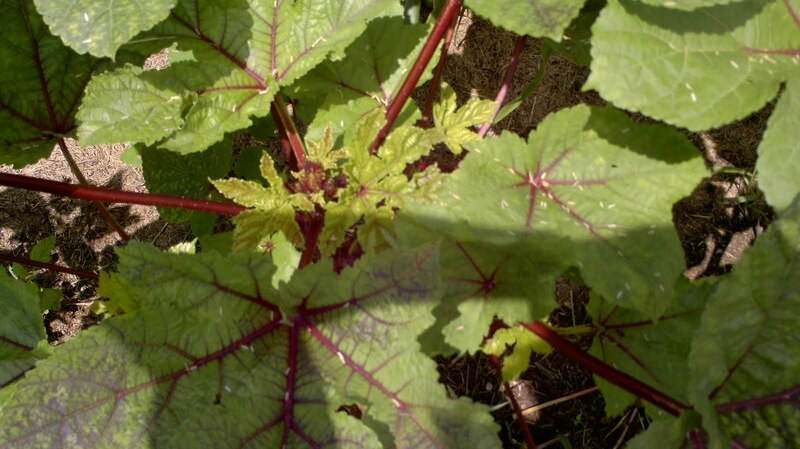 I liked the crinkle-leafed variety better than the flat-leafed variety for this recipe. 2. 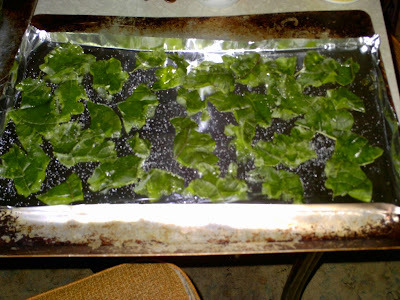 Wash/rinse the Kale leaves, then dry with a clean kitchen towel. 3. 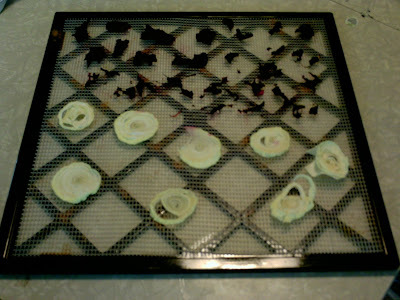 Tear off chip-sized pieces, leaving the hard stem to put in the compost bin or give to the chickens. 4. 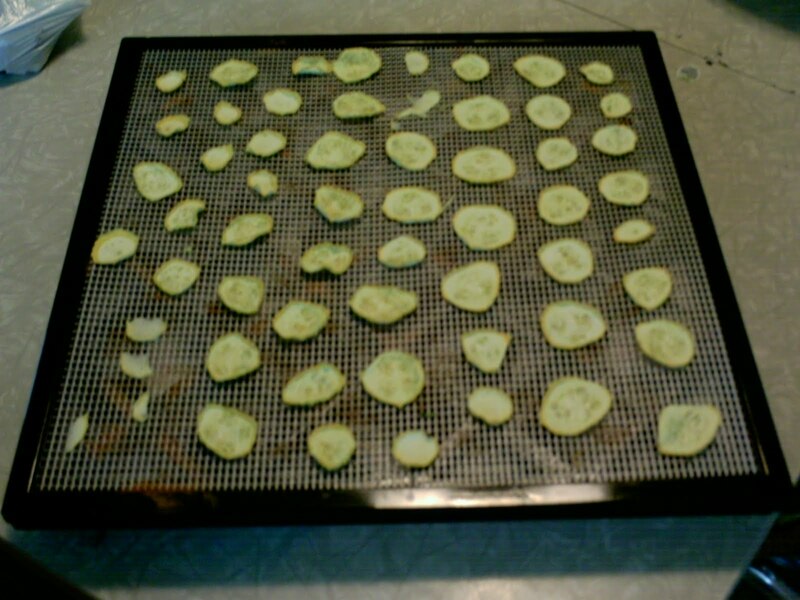 Using oiled hands (I used Extra-Light-Tasting Olive Oil this time), rub oil into each piece and place on a cookie pan that has a sheet of foil on top of it. 6. Bake at 375* for 10-15 minutes. Watch closely--you want the edges browned and when you shake the pan they should slide around. You don't want limp kale chips, but you don't want charred kale dust either. I thought they were pretty tasty. My oldest child thought they were "weirdly good/kinda bad", my second oldest ate one but made it clear he did not want another (my picky boy-give him points for at least trying one), and my daughter keeps going back for more. Hubby wasn't home to try them, and I ate what the kids didn't eat. 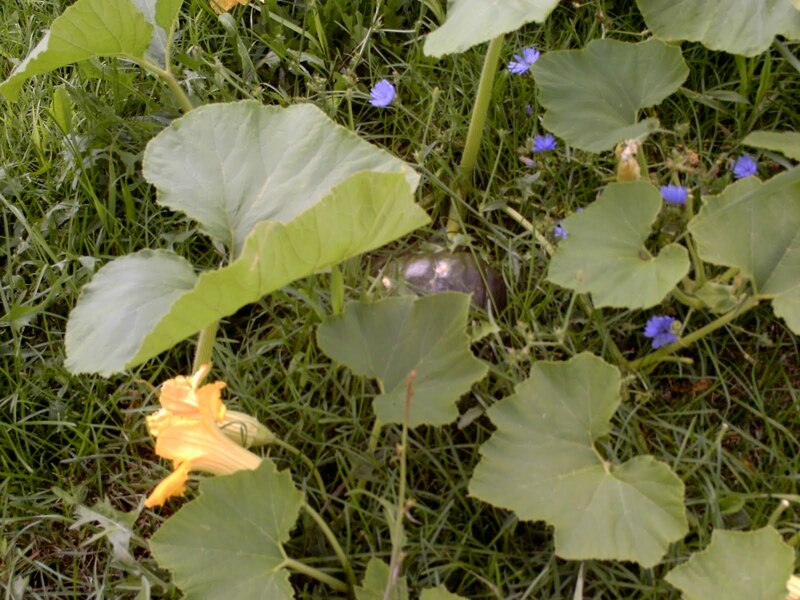 Thankfully, my Zucchini plants aren't going bonkers this year, AND they are still alive. They usually succumb to the inevitable squash bug by this time of year. I'm thinking the one month delay in planting might have been a good thing! So, since I can't get the kids to eat zucchini any other way, I decided to try my mom's Zucchini Brownie Recipe and make it Gluten-Free. The only thing I changed from the original recipe was the flour: rather than regular flour, I subbed the Bob's Gluten-free flour 1:1. I think it was just fine, and filled my chocolate need. 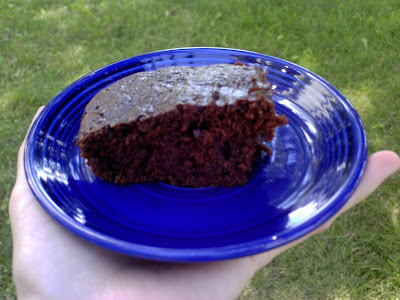 This makes more of a cake-like brownie, for you brownie conoisseurs. Mix all of the ingredients together and spread in a greased 9 by 13 pan. Bake at 350* for 20 min or until done (my glass pan takes a bit longer). 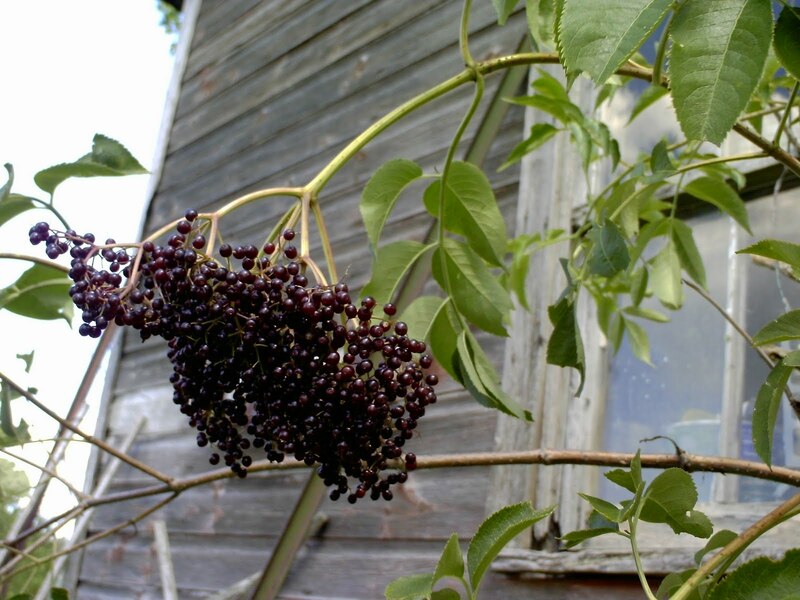 This is the first year I have actually taken advantage of the Elderberries that grow on our farm property. We don't do anything to cultivate/nurture the Elderberry trees-they have been here as long as my husband can remember growing up when it was the Grandparents' farm. Some trees have died since we have moved here, but others have sprung up. They are a pretty low-maintenance plant, I think. They are also multi-purpose. 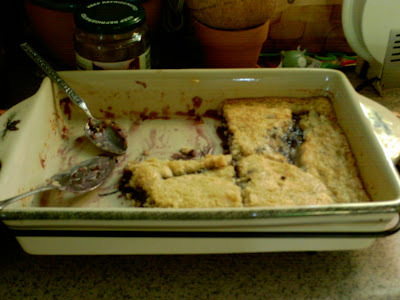 In the past I have saved the berries and used them to make a sort of tea in the winter when fighting an illness. So, I sent my daughter out to pick, and the boys also helped a little. We didn't have enough the first evening to make a real pie...nor did I have enough gluten-free flour to make a double crust. If I was going to make a pie, I was planning on eating it too! So I improvised. Enter the Celebrating Home Ceramic Muffin Pan. I had enough Bob's Red Mill All-Purpose Gluten-Free Baking Flour to make a single Gluten-Free Pie Crust (subbing 1 1/3 cups of the Bob's Red Mill for the various flours in that recipe). 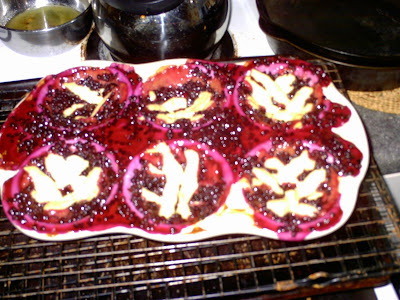 I pressed (not rolled) it into the muffin cups, poured the elderberry mixture from this recipe (which I halved) into the cups, then made little pieces play-dough style and criss-crossed them on top. Of course, it boiled over and went onto the bottom of my oven, during which my hubby sniffed and said "It smells like burnt Elderberry pie. You must be doing it right--that's the smell I remember growing up as a kid." To which my heart smiled. 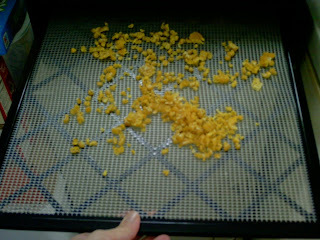 Needless to say, it made a mess. I am glad I used this muffin pan instead of a metal one. I really hate scrubbing out muffin tins. This one I can throw in the dishwasher and it comes out clean. I want another one! It's going on my Christmas wish list. I'm sure the kids will be going berry picking again in a day or two. I wonder what I shall do next? I'm warming up a bit to the Gluten-free flours. 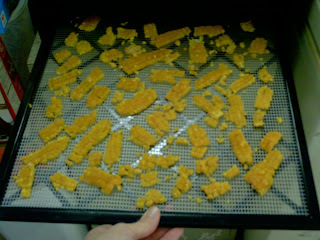 At least, the ones without gums added, and that have complete protein(read: brown rice and ground legumes). The Bob's flour, so far, has made me fairly happy with the above recipes. I do have to say that I am doing better than 4 weeks ago, before I did the BaxAura treatment (having had AAT a few years ago, and BioAllergenix through the last year +). The treatment seems to have reached more than the other two systems for me (or the not having to avoid all the pollens is a big positive compared to the other systems). Previous to the BaxAura treatment, I found myself reaching for the Claritin or Zyrtec as I approached (my) peak allergy month, but I haven't done that since the BaxAura treatment. Editing to add: We had our annual Awana Carnival last night. 3 and 4 years ago, before treatments, it was horrible. Constant itchy eyes, runny nose, sneezing, feeling hot/flushed, tired, itchy skin, etc. And this was while taking daily Claritin. Last year (after BioAllergenix treatments) was better, though not perfect by any means. I was newly pregnant and it was hotter this time of year last year. This year, I went inside a few times for a tissue and had one small flareup of itchy throat, but it was nothing near the years previous. I was worried, the whole time (and have been this whole season) that it wasn't going to work at all. But it seems to have worked/be working fairly well, especially considering I'm not taking anything other than my vitamins and the homeopathics. My next appointment is on Saturday, so I will see where we are from there. I would be willing to bet that I am "still working on it" and will need a refill of the spray(which should take me through the rest of the allergy season)...hopefully I won't be asked to spend more on it, as I simply can't afford to do so. 3. Being even more picky about what I eat, especially in regards to gluten and GMO's. Much as I would love to pursue further treatment with the BaxAura, sometimes the almighty dollar wins. Unfortunately. I just thought I would do a little picture garden update. I really need to get on the ball and do more with the stuff that's out in the garden. 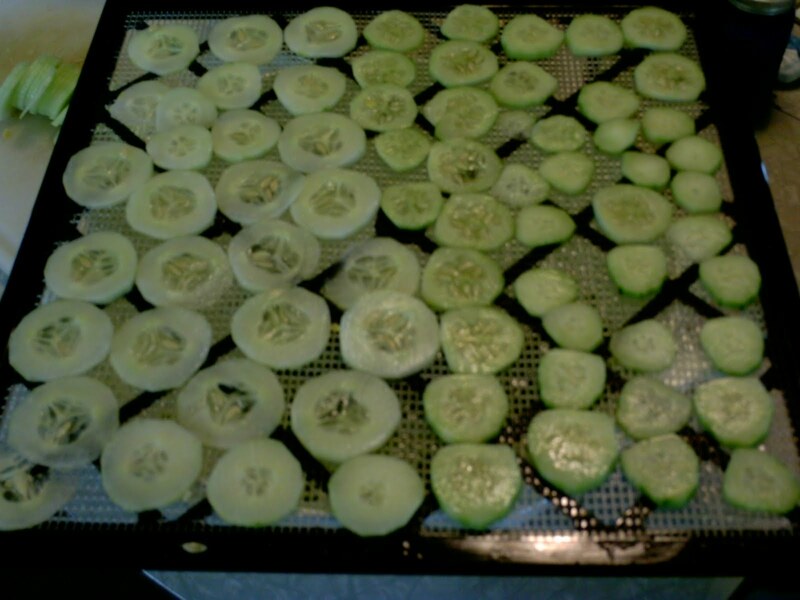 I dub this The Year of the Cucumber, as I have made at least 5 batches of freezer pickles, plenty of Cucumbers and Onions, and have been slicing them and pawning them off to my children as the Snack of the Day . Speaking of which, I need to go out and pick again today and make some more pickles, since cucumbers are getting a bit old these days! There are also Royal Burgundy Green Beans and Beets(and Beet Greens) calling my name out there. If I cut the Basil back (which I let flower to attract insect--yeah, that's it, lol), I can make more to put in the freezer...and maybe some pesto if I go get some gluten-free pasta one of these days...and a good recipe. I tried making Gluten-free Zucchini Brownies using my own recipe(and my own not-quite-huge-zucchini)....just came out of the oven, so the jury is still out on that one...but they smell delicious! Here's my Red Kale...eaten by worms. 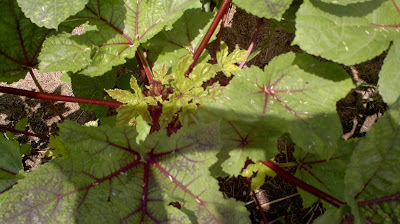 :-/ If I had the chickens now, they would be feasting on these....I will try planting a new row of this soon...and will pull most of the leaves off of these plants in the effort to give them a second chance at making food for us. I've heard a lot online about Kale Chips and want to try that at least once this year. 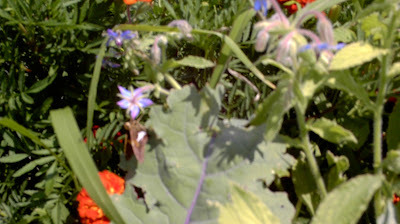 A butterfly on the volunteer Borage among the Red Kale. 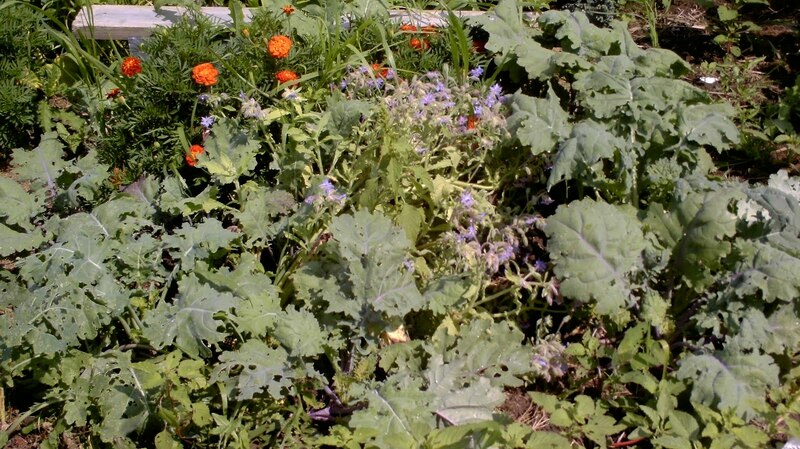 This Kale is the plant that overwintered last year....I don't know much about Kale--is it too big to harvest? The worms seem to have left this plant pretty much alone and gone for the younger Kale. 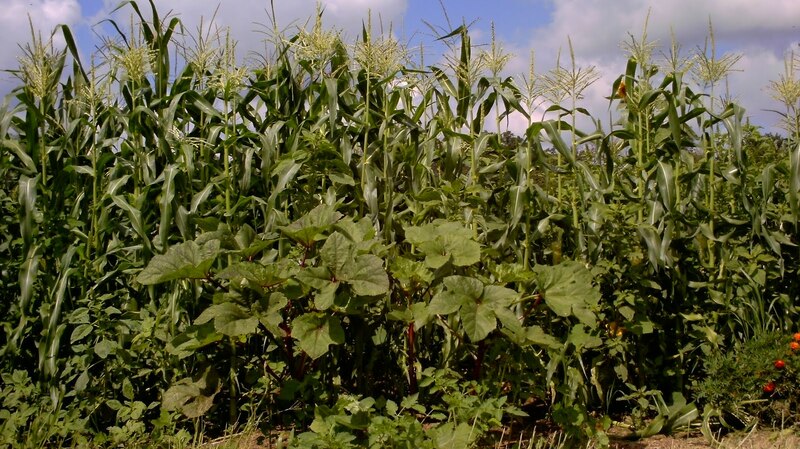 A close-up of the big okra plants. I'm not sure, though, that we will be getting much Okra this year. The weather is already cooling down substantially and we planted a month later than last year! 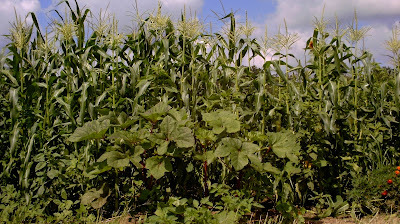 The Okra in front of our Sweet Corn (which is hubby's domain) is doing the best--last year there was squash in this area. One of my little Buttercup Squash, the vines of which have sprawled across the grass. I am scratching my head a bit, as this was supposed to be a bush plant! Today marks week 3 after my BaxAura treatment. I am still taking the homeopathic sprays 3 times a day or so. The last week or so has felt weird to me, weather-wise. Maybe I expect August to be horrible every month, but this year it's actually rather enjoyable. The weather is cooling, and even though the local pollen levels on pollen.com are Medium-High (8.2 today on a 12 point scale), I only have short-lived itchy throat ever so often. I am definitely not going through the tissues like I have in past years. Last year, when I'd had the BioAllergenix treatments, was better than the previous years. This year, I think the BaxAura has reached the things the Bax3000 hadn't been able to reach. Maybe because I did not need to fully avoid the stuff after the treatment. I think the avoidance period required with AAT/BioAllergenix is one problem I have had with the many different pollens/molds: I can't completely avoid them when I live in a 100 year old farmhouse! I am still going through the healing process after my BaxAura treatment(taking the homeopathics). I hope it improves even more and maybe I won't need the homeopathic in the future. As it stands, even if I do need to get a bottle of homeopathic each year, this is working far better than antihistamines ever worked for me in August before! How does the BaxAura work? I asked the chiro for a layman's explanation of how the BaxAura does its job. When the cuff is on the arm and the scan is running on the computer, the computer sends a digital signal to the nervous system of many, many different items and measures the body's response. This is not only for allergens, but for anything to which one's body could be having an abnormal response. As the computer runs through the test, it tags each item that the body responds abnormally strong to, and puts it on a list. When the laser light is used for the treatment, your own personal list of allergens is loaded into the machine, and the full signal is sent to the nervous system. At the same time, there is a signal the body associates with euphoria that is sent through the laser light. So, the full signal of the treatment is being sent along with a euphoric ("this is good") signal to encourage the body to associate the things on your list with good, not with the prior "this is bad", negative response. This alleviates undue stress on the body and overall health. The homeopathic bottles given for use after the BaxAura treatment are given a homeopathic digital dose of your allergens/items that came up in the testing. So, for instance, if your full dosage of item X with the laser light was 888, your homeopathic dose would be 8. The homeopathic dosage is a "baby dose" of the full laser light treatment dosage. This homeopathic is what you use during the weeks after treatment to aid the body's healing after your initial laser treatment with the BaxAura. I hope this helps you to understand somewhat how the BaxAura system works. Allergies: Presenting Differently After Alternative Treatments? Have you had allergy treatments with AAT, BioAllergenix, or Bax Aura? If so, have you noticed that your allergies seem to be presenting differently? I asked my chiro whether other patients have had this experience. I have noticed this in myself and have seen it mentioned on various online boards, and finally had the presence of mind to ask this the other day, since I had no other pressing issues at the time. Her answer was that often the noticeable symptoms of the allergy that bring people to seek out treatment are addressed with the treatments, but that as the cause of those symptoms are addressed, there are often other underlying issues that are brought to light. Things that you may not have noticed when you were dealing with the other allergy issues. As treatment progresses, you address the cause of those "new?" symptoms, and so on, until you get to the bottom of things. When I began seeking treatment with AAT, then BioAllergenix, these treatments took care of many of the food and environmental allergies (ie. most of my hayfever symptoms and sinus problems). Once these symptoms had been gone for the most part, I started to notice a "something's in my throat" feeling here and there. My family doctor ordered a thyroid test (which came out perfectly fine) and chalked it up to GERD/reflux/heartburn and told me to take Pepcid. So that is what I am doing: avoiding gluten and tomatoes.And trying to eat healthily and maintain a healthy gut. My body is apparently working deeper on this allergy issue. According to the chiro, there is a good chance that I had problems even as a child. They were just not recognized at that time (EE is a relatively newly-discovered and named disorder; one that is alarmingly rising in our young children). With food and environmental allergies on both sides of my family, I would not be surprised if that were the case.